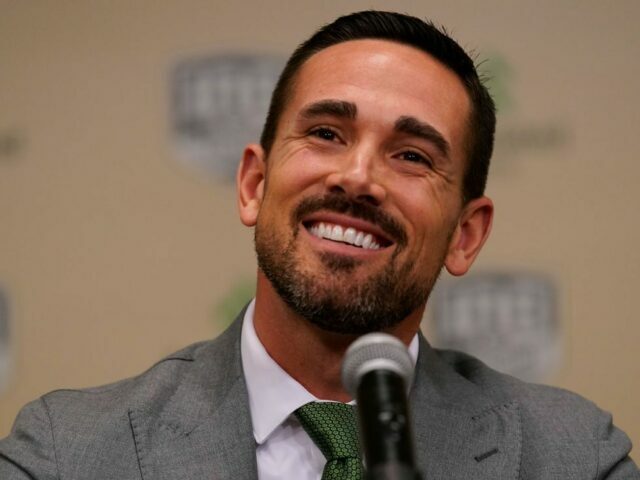 Six weeks after being hired, Matt Lafleur is at the NFL combine. 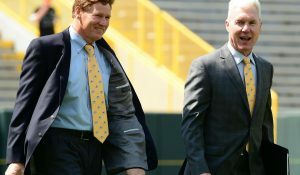 This time, he is not just behind the scenes interviewing and scouting potential draftees, he is front and center with the media as the Packers new head coach. On day 1, Lafleur spoke to the media. 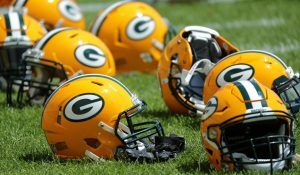 After two straight seasons of missing out on the playoffs, the Packers arrive at the NFL combine in Indianapolis armed with two first rounds and 11 draft picks. Enough to influx young talent on to a team that desperately needs it. The media asked Lafleur a lot of questions. He even joked about being older than he looks and 7 years older than his good buddy Los Angeles Rams head coach Sean McVay. When he was asked what he would like to add to the team, he responded by saying he has a lot of trust in Brian Gutekunst and they are working together to build the team for success next season and beyond. Lafleur mentioned that he and his staff are searching for players who fit the mold of what they want to do and the culture they are building. Lafleur plans to commit to the running game and balanced offensive attached that features explosive plays. He believes that a strong running game includes multiple running backs. Which bodes well for both Aaron Jones and Jamaal Williams. He stated that he thinks the way to a strong running game throughout the season is to take the load off of them so they are fresh come December and January. Lafleur plans to utilize a zone blocking scheme and believes the current lineman and running backs on the roster fit that type of running game. Lafleur has spent a considerable amount of time watching film from last season. During those film sessions, he noticed how talented his young receives, Marquez Valdes-Scantling, Equanimeous St. Brown, and J’Mon Moore are. He told the media that he is excited about working with them and they are the type of receivers that he is looking for in his system. All three receivers are big, strong, fast and can stretch the field. 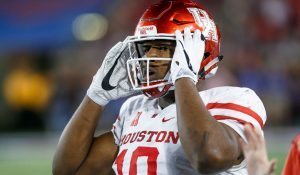 They are all entering their second year, so growth is expected as they will be playing an expanded role in the offense. Head Coach Lafleur has spoken with the media three times now since he was hired. Every time he speaks, I like him more and more. He is bringing a fresh and exciting offense to Green Bay. He wants a balanced attack that will utilize all of the teams offensive weapons. Free agency and the draft will set the tone for the amount of success this team will have this year and the culture they are building for the future. It all starts this week at the NFL combine. This entry was posted in Anthony Haag, Packers 2018-2019 Season and tagged Aaron Jones, equanimeous st. brown, Green Bay Packers, J'Mon Moore, Jamaal Williams, Marquez Valdes-Scantling, Matt LaFleur, NFL Combine. Bookmark the permalink.